Roller Sports Canada (RSC) was formed and incorporated in 1973 (originally under the name of The Canadian Federation of Amateur Roller Skaters). Since that time, RSC has been the National Sport Governing Body for all aspects of roller sports in Canada, including Artistic Roller Skating, Roller Speed Skating, and Women’s Flat Track Roller Derby. RSC is responsible for the development and administration of competitions and proficiency tests; for conducting seminars and clinics for coaches, athletes, and officials; and for the development of the sport in general, from grassroots programs right up to the high performance programs that support our world class athletes. Our sport is governed by a National Board of Directors, made up of representatives from the various provincial federations. Board meetings are held quarterly or the Board communicates electronically via e-mail and web conferences. The annual budget is comparatively small, and the majority of athletes have funded their careers on their own in the past. We continue to actively seek corporate sponsorship to assist our athletes, and we feel we can offer some lucrative exposure to sponsors with the continued popularity of inline skating in North America. Traditionally, our membership base has been somewhat small, yet relatively stable. However, with the continued popularity of inline skates, we draw members from some of our winter sport counterparts, as roller sports form a natural cross-training opportunity for ice speed skating. We have also recently formalized our Artistic testing program so that we can offer a more rewarding sense of accomplishment for those members who are not primarily interested in high-level competition. The newest division of Artistic Skating is Synchronized (Precision) skating. RSC’s newest discipline is Women’s Flat Track Roller Derby. Interest and participation is spreading throughout the nation. Use our new online system to register. As the National Sport Governing Body for roller sports in Canada, RSC is afforded membership in the Canadian Olympic Committee (COC) and the international sport governing body, the Fédération Internationale de Roller Sports (FIRS). Both the COC and FIRS hold membership in the International Olympic Committee (IOC), which governs the hosting of the Olympic Games and the Pan American Games. Under the auspices of FIRS, international committees for each discipline establish the governance of international tournaments and competitions worldwide, including the creation and modification of rules, the sanctioning of events, competition hosting, and the development of athletes, coaches and officials. Canada is proud to have played a role at the international level for many years. The majority of Canadian competitive roller skaters are currently centered in lAlberta, British Columbia, Manitoba, Ontario, and Quebec. Some Provincial Federations hold their own Provincial Championships each spring, qualifying athletes to represent their respective provinces at the Canadian Roller Sports Championships each summer. Our sport is really three (3) separate and distinct sports, or “disciplines”. Compared to the “ice” versions of our disciplines, Roller Figure Skating closely resembles ice figure skating, Roller Speed Skating closely parallels ice speed skating, and Roller Derby is women’s flat-track roller derby. Both the traditional, or “Quad” skates, and the increasingly popular “Inline” skates can be used at the provincial and national levels of competition, though the only discipline that combines the two types of skates in the same competition is roller figure skating. Further detailed information on the different roller sport disciplines is available in separate publications. [Our Achievements] View a list of our international skating achievements. [History] Read a brief history about roller sports. Male and Female athletes are afforded equal participation opportunities in Roller Sports. The largest participant base at the competitive hockey level is men, while women form the largest base in Roller Figure Skating. Speed skating participants traditionally include more men than ladies, but these statistics are changing rapidly as the popularity of the sport soars. Roller skating rinks are open all-year round, and additional training opportunities exist between May and August, opposite the prime ice sports season. This is also when the greatest influx of roller speed skaters for the spring and summer seasons. With increased numbers of adults and children alike participating in recreational inline skating, Safety Awareness has become a higher profile activity for our organization than in the past. We now have large numbers of participants (not necessarily Federation members) who are skating on public pathways and roadways – areas not originally designed or constructed for skating. These areas are also, for the most part, unsupervised, which again reinforces the need for these skaters to wear the recommended safety equipment. RSC is currently working with rink operators and community groups to educate newcomers to the sport on safe skating practices, and at the same time teaching them how to have fun in their new sport. Club and Inter-Club competitions and clinics take place throughout the year, and many dedicated athletes travel to the USA for additional competitive exposure. Provincial Championships are held each spring, when the athletes in each event qualify to participate in the Canadian Championships. Individual Clubs and provinces also hold invitational meets throughout the year for all ages and levels of expertise. The site of the annual Canadian Roller Sports Championships rotates among the member provinces. In addition to the crowning of Canadian Champions, athletes vie for a spot on the World Teams in all three disciplines. At the World Class level, there are now both Senior and Junior World Championships for Speed and roller figure skating. High performance athletes also participate in a number of international invitational competitions around the world, not only for skating experience, but for exposure to the challenges and exhilaration of international competition. 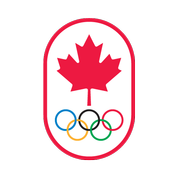 The Pan American Games , an official event under the auspices of the IOC, are held every four (4) years, and the qualifying Pan American Championships are also held every four (4) years, opposite the Pan Am Games. Here are some suggested formats that are used to organize skaters for roller sports disciplines. Another quick and easy event is to have “Fastest Start” contests, which help to train skaters to sprint from a standstill. Usually a distance of about 50 metres is sufficient, and should include one corner turn. Other fun activities can be adapted from children’s school “Field Day” events, such as relay races, that encourage team play and active participation. In all disciplines, we will be gearing our future plans to a gentle balance between grassroots programming and high performance development for our athletes, coaches and officials. We are continually striving to create growth in all our disciplines. We continue to formalize our Outdoor Speed programs to reach out to the thousands of ice speed skaters in Canada, and once again, promote the tremendous advantages of summer cross-training opportunities that are available. This may involve increased community sponsorship and support so that we can compete with our world-wide counter-parts with races that offer cash and prizes. We need to go back to basics in the Roller Figure Skating discipline, primarily focussing on attracting and training new coaches to the sport, as well as working with existing coaches to upgrade their skills. We have some retired high performance athletes with much to offer, and we need to provide a program to counter balance the normal attrition rate of our athletes, coaches and officials.